#408......"LEWIS COLLINS" - BODIE 3.7 . you'll never walk alone ! Yep, I don't get bored with this look either 😜 Thank you! NO me neither....NEVER NEVER NEVER NEVER NEVER, sorry, no i will never get bored of a wet looking Bodie. Mmm and let me add in "zipper". Leaving you to contemplate those thoughts .. I love this gorgeous shot! Thank you. oh me too as you can probably tell from my above comments.....delicious . Thankyou so much for looking and liking. All in black, and wet? With these pics you are really spoiling us! *vbg* Thank you for another great pic, they really brighten up the day! yes he does have that affect so i can fully understand. you are welcome and enjoy the weekend. 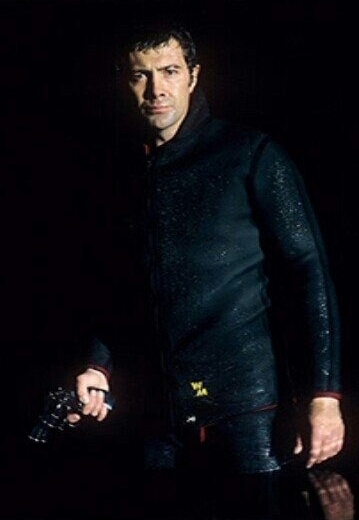 He rocks that wet suit every time, mmmmm. he most certainly does and the thought of all that wet skin underneath ...yum. It's great look - very Bondian. And very dramatic. mmmmm *melts* ...Lewis in a wet suit what's not to like.